This issue features essays on Shichibutsu Yakushi iconography; the excavated caves, rock-cut monoliths, sculpted stone tableaux, and structural temples of Mamallapuram; Buddhist stone scriptures in sixth-century Chinese cave-temples; an exhibition review of Buddhist Sculpture from China, a collection of more than seventy stone and clay objects shown at the China Institute Gallery in New York City; and an analysis of the work of the Korean art historian Ko Yu-seop. Contributors include Richard Davis, Vidya Dehejia, A. F. Howard, Sonya S. Lee, Rob Linrothe, Amy McNair, Yui Suzuki, and Kim Youngna. 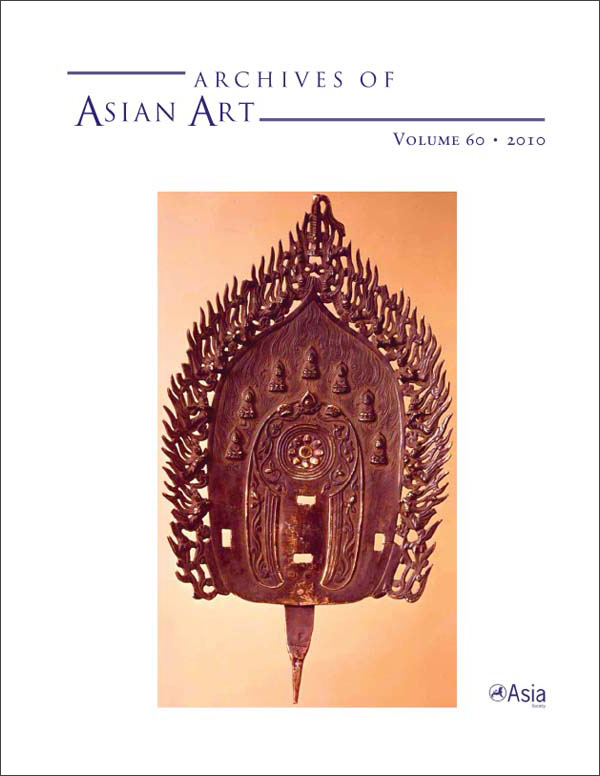 View the table of contents for Archives of Asian Art 60:1, at the journal's online site.